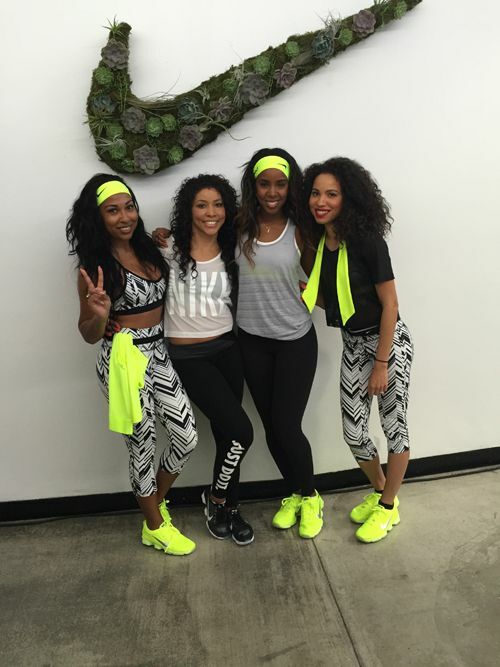 PRETTY GIRLS SWEAT: Kelly Rowland, Tia Mowry-Hardrict, Jeanette Jenkins, Jurnee Smollett, Melanie Fiona & More Sweat It Out! Fit and fab! 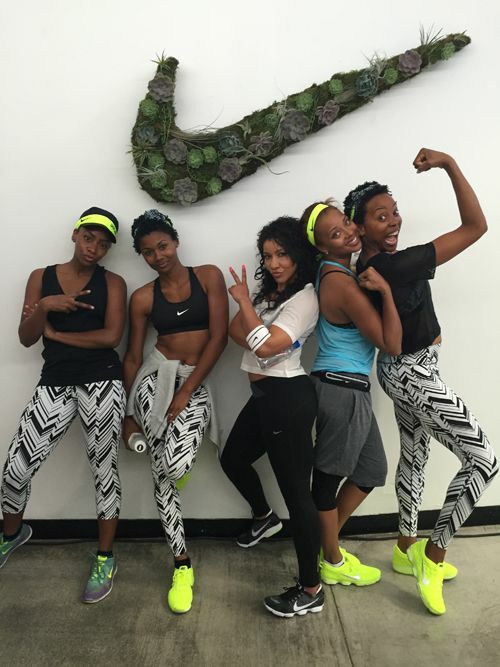 A handful of YBF ladies grabbed their workout gear and joined celebrity trainer Jeanette Jenkins for a morning workout. 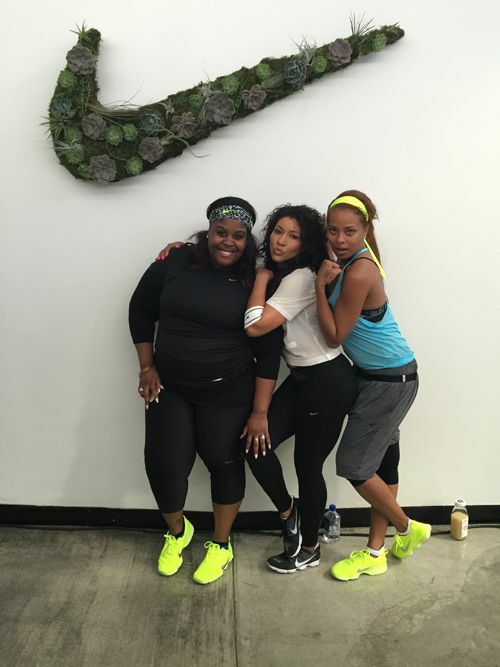 Peep the pics of new mom Kelly Rowland, Jurnee Smollett, Melanie Fiona, Eva Marcille and more sweating it out inside…. They say winter workouts make summer bodies. And a few fit-and-fab YBF chicks are keeping it tight and toned joining celebrity trainer Jeanette Jenkins for her fitness event. 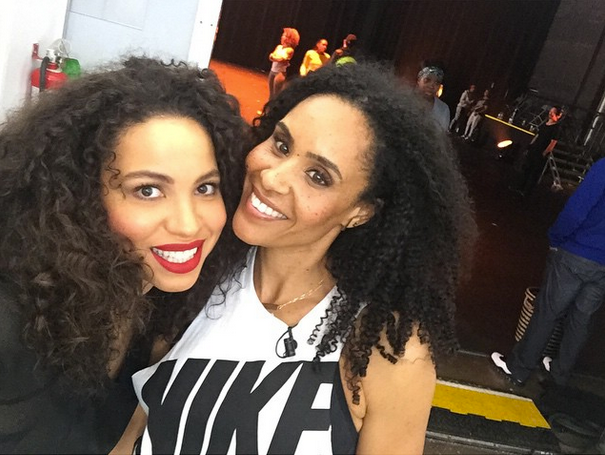 For the 5th Annual Black Women In Hollywood Workout event (in partnership with Nike & Essence magazine), Jeanette invites some of her celebrity friends and students from Pretty Girls Sweat (apart of the Teen Diaries Foundation) to “CRUSH IT” in a morning workout, followed by a pampering session at the spa. 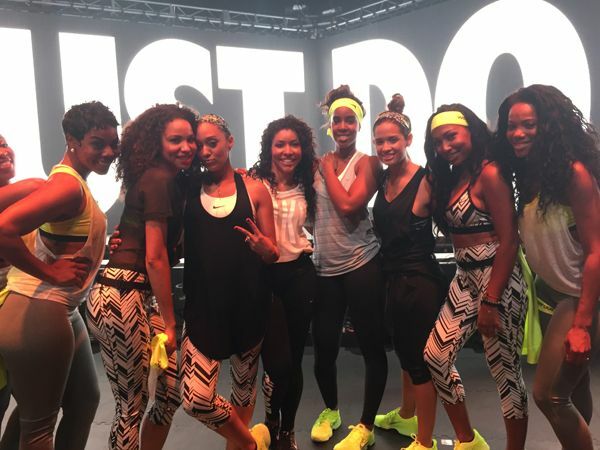 Three-months after giving birth to her baby boy Titan, new mom Kelly Rowland came out to work on her post-baby bod with her friend/trainer Jeanette Jenkins, actress Jurnee Smollett and singer Melanie Fiona. The ladies took a moment to snap up a few fun flicks during their workout. 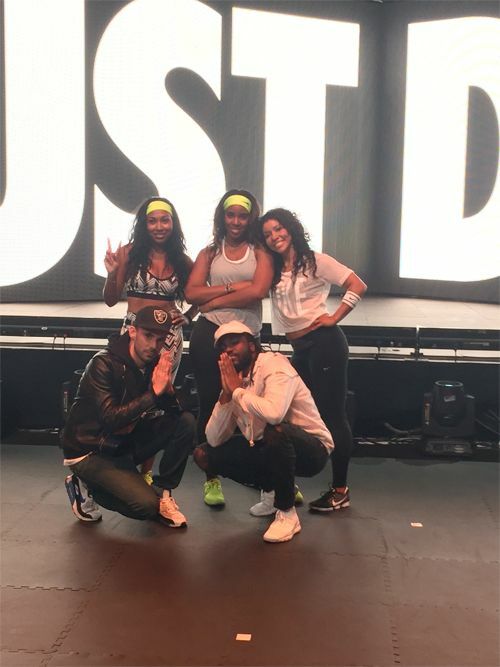 A few of the ladies also posed it up with creative director Todd Tourso (Beyoncé's creative director) and music producer MeloX. 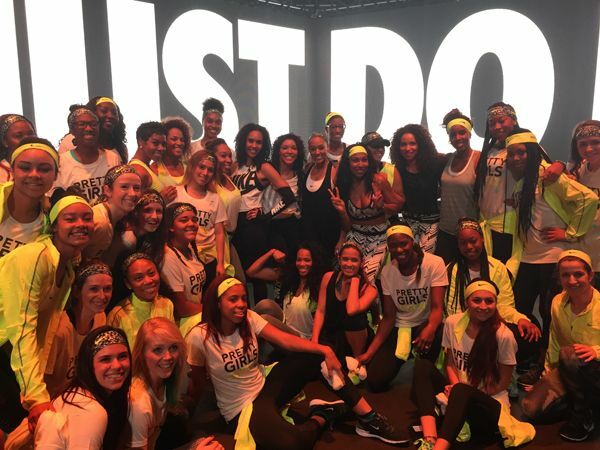 Fitness trainer and inspirational "SoulCycle" coach Angela Davis also helped with making the event happen. 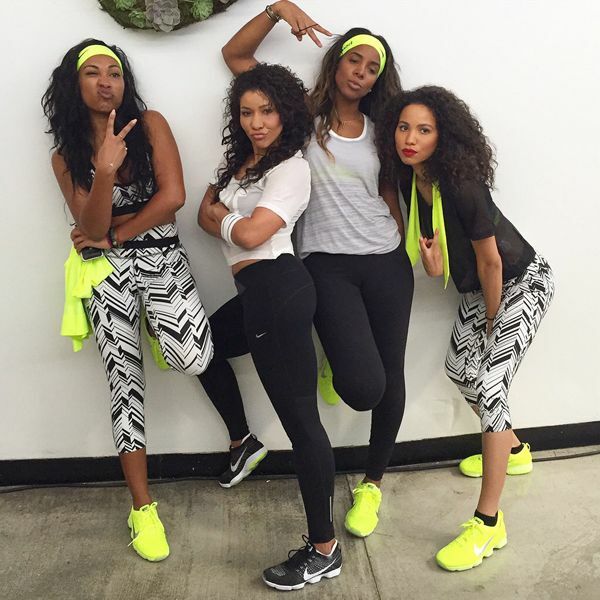 Upcoming Sister Code stars Eva Marcille and Erica Ash came out to sweat. And so did "Being Mary Jane" star Raven Goodwin. 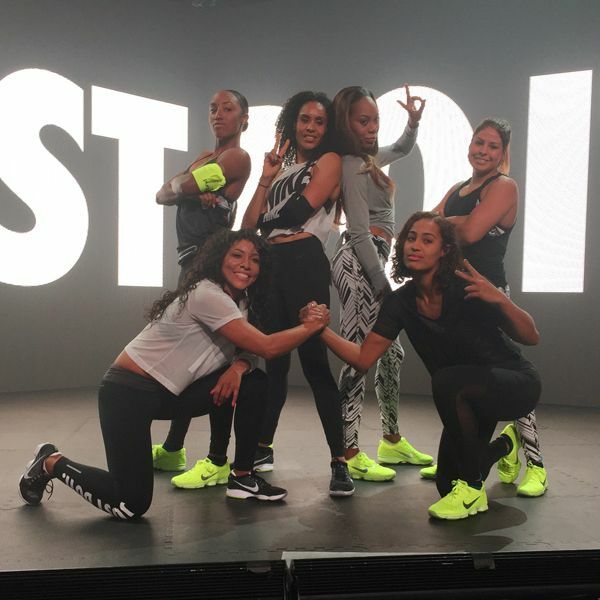 WNBA superstar Skylar Diggins, Olympic track-and-field star Sanya Richards Ross, Olympic & World Champion Boxer Marlen Esparza and World Champion Hurdler Brianna Rollins also came out to support and to test their endurance. And lastly, the YBF ladies snapped a pic with the young ladies from the Pretty Girls Sweat program. Loves it!